Neil Armstrong was a famous American astronaut. He was the very first man to walk on the moon’s surface. During his lifetime, Neil worked as an aerospace engineer, test pilot, university professor and a naval aviator. 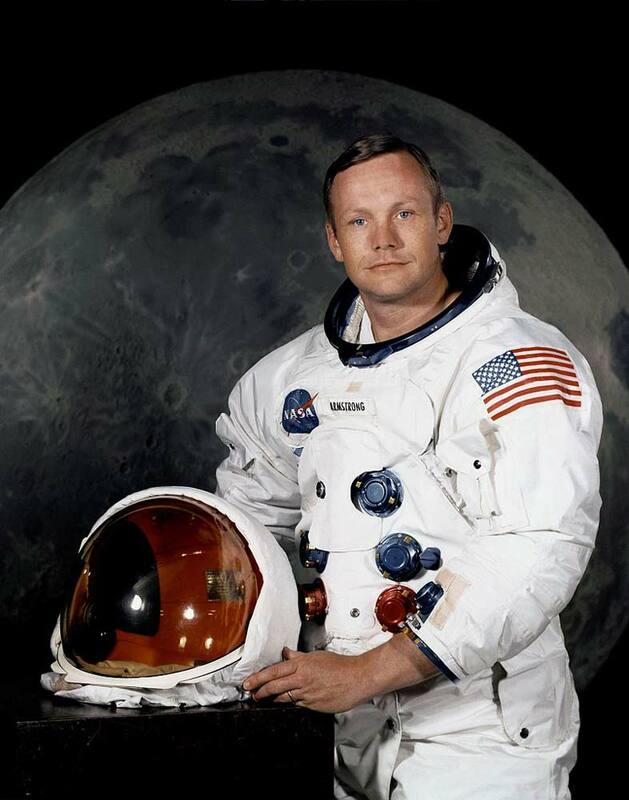 Neil Armstrong was born on August 5, 1930, in Auglaize, just next to Wapakoneta, Ohio. Neil had two younger siblings and he was Irish, German and Scottish ancestry. His dad worked as an editor for the government and the family moved around the state after he was born. Basically, this family moved around to 20 towns. On July 20, 1936, at only of five years old, he experienced his very first airplane flight in Ohio. Neil attended Blume High School where he took some flying lessons at Wapakoneta Airfield. At age 16, he earned his student flight certificate and then had a solo flight later that year. In school, he was an active scouting member and even earned a rank of Eagle Scout. Later in life, when he was an adult, Neil was actually recognized by Boy Scouts of America. In 1947, at the age of 17, he joined Purdue University to study aeronautical engineering. In 1955, he was awarded his bachelor’s degree and later a master’s degree from the University of Southern California in 1970. On January 26, 1949, Neil Armstrong was to report to the Naval Air Station in Pensacola. He was only 18 years old and the flight training lasted 18 months. On August 16, 1950, Neil was informed that he was finally a qualified Naval Aviator. In 1951, Neil was able to see action in the Korean War for the very first time. Basically, he flew 78 missions over Korea for about 121 hours in the air, most of which occurred in January of 1952. When he turned 22, he left the Navy to become a Lieutenant in the U.S Naval Reserve. Neil stayed in the reserve for eight years before resigning on October 21, 1960. On January 1956, Neil married Janet Shearon and the couple had two children together. However, his wife died shortly afterwards in January of 1962 due a brain tumor. After one year, Neil joined the astronaut program. He moved together with his family to Texas where he served his first mission, Gemini VIII. On March 16, 1966, together with David Scott, they were launched into the earth’s orbit. While in orbit, they were able to briefly dock their space capsule with the Gemini Agena target vehicle. It was the very first time two vehicles had successfully docked in space. However, their mission was cut short after experiencing some problems. They landed in the Pacific Ocean and were rescued by the U.S.S Mason. Neil Armstrong was faced with an even greater challenge in 1969. He was part of NASA’s first manned mission to the moon. Together with two other astronauts, they launched into space on July 16, 1969. He served as the mission’s commander and on July 20, 1969, he piloted the Lunar Module to the moon’s surface. They returned on July 24, 1969. The Apollo II craft came down in the Pacific Ocean just west of Hawaii. The astronauts were picked up by the U.S. S. Hornet and put into quarantine for three weeks. 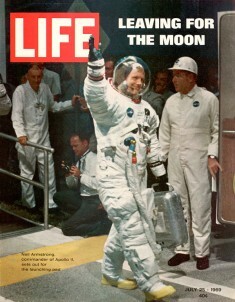 Neil Armstrong remained with NASA for a few years. He even served as deputy associate administrator for aeronautics until 1971. He left NASA and became a professor of aerospace engineering. He remained at the University of Cincinnati for eight years. He also served as chairman of Computing Technologies for Aviation from 1982 until 1992. 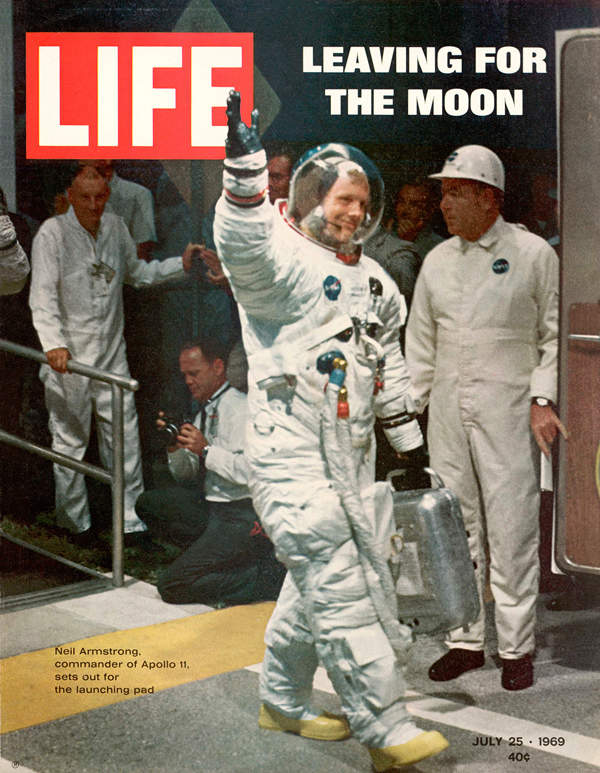 Apart from being a very famous astronaut in history, Neil largely shied away from the public. In 2006, he gave a very rare interview to the news program 60 Minutes. In his final years, Neil remained committed to space exploration. In 2010, he returned to the spotlight to express his concerns over changes made to the U.Ss space program. He even testified in Congress against president Obama’s decision to cancel the Constellation program which would have included another mission to the moon. In August 2012, Neil underwent a heart operation. A few weeks later, on August 25, 2012, at the age of 82 years old, he died in Ohio. He is survived by his wife and two sons. News of his death quickly spread all over the world due to him being a major figure in history and space exploration.